The era of the UK franchise of Big Brother coming from Elstree Studios appears to be all but over. And as a freelancer who worked there, it is brutally upsetting to see. But I can’t help watching. Fast forward seven years, and the show appears shelved for a second time (the first being when Channel 4 decided not to renew). For clarification, all Channel 5 contracts had been completed in full; the first two-year-deal contract agreed in 2011, followed by the two-year extension in 2012, and the further three-year extension in 2015. A frame taken from the first Channel 5 episode. Series 12, episode 1. I hate to see the terms “cancelled” or “axed” being used, as they imply current or ongoing contracts were cut short. This is not the case. To make it clear, the show was not axed or cancelled. It just simply wasn’t renewed. “Shelved” by definition. I.e., temporarily not proceeding. A quick Big Brother UK history lesson; The original Big Brother UK house was in Bow, near 3 Mills Studios in east London. It was reported that the production moved after two series because “Channel 4 failed to secure long term planning permission”. How true this is, I don’t know. But Production did move north to Elstree Studios, where Planning Permission with Hertsmere Council was requested for a 2’500sq/ft “simulated dwelling” on 21st December 2001, which the council then granted on 31st December 2001. 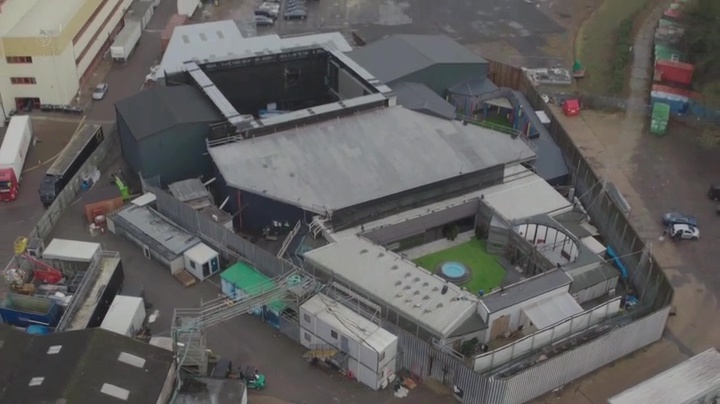 In other words, they were allowed to build a new Big Brother House and full production within the Elstree Studios compound (on stilts, on top of their old water tank stage). A mere 4 months after that planning permission was granted, the third civilian series of Big Brother UK launched Live from Elstree on 24th May 2002. An incredible feat to build from scratch, to on-air, in 4 months. Since then, 594 official Housemates have been through those front doors (and some out the back). Plus countless more unofficial ones due to the way Production works, with rehearsals and the use of test Housemates or “guinea pigs”. 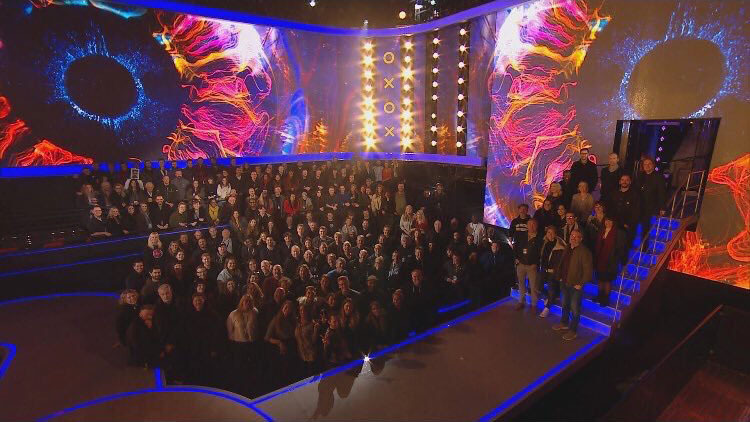 Add in the hundreds and hundreds of crew who have come and gone over the years… Big Brother was an absolute behemoth of a production, and a tireless workhorse for Endemol. With the third Channel 5 contract finishing at the end of 2018, negotiations were reported to have been ongoing to determine the future of the show, with no definitive information either way on a contract renewal, or if the show would find another platform. On the 14th Sept 2018 at 11.15am, Launch Day morning for the civilian summer series, Channel 5 posted a tweet stating “It’s time for this game to end. The final series of Big Brother starts tonight at 9pm”. To say this was a shock to the crew is no understatement. Such soul destroying news for the entire production team, especially on the morning of an incredibly busy Launch day schedule! Eleven minutes later, Endemol Shine UK released a statement which read “We are incredibly proud of Big Brother which has consistently been the highest rated show for Channel 5 over the past seven years, with the latest series of Celebrity Big Brother being the channel’s highest rating show of the year, growing its audience year on year by 17% and tripling the channel’s slot average for 16-24s. This performance is a credit to the fantastic production team, plus Emma, Rylan, Marcus and the many housemates over the years who have delivered so many unmissable series. Big Brother continues to be a global phenomenon. The UK is one of 20 countries where the show will air in 2018, including the US where Celebrity Big Brother was recently renewed, four different versions in India and last month’s Celebrity Big Brother in Germany which saw a rise of 85% series on series. Whilst disappointed not to reach an agreement with Channel 5, the decision opens up a new chapter and we are excited about future possibilities for Big Brother in the UK”. 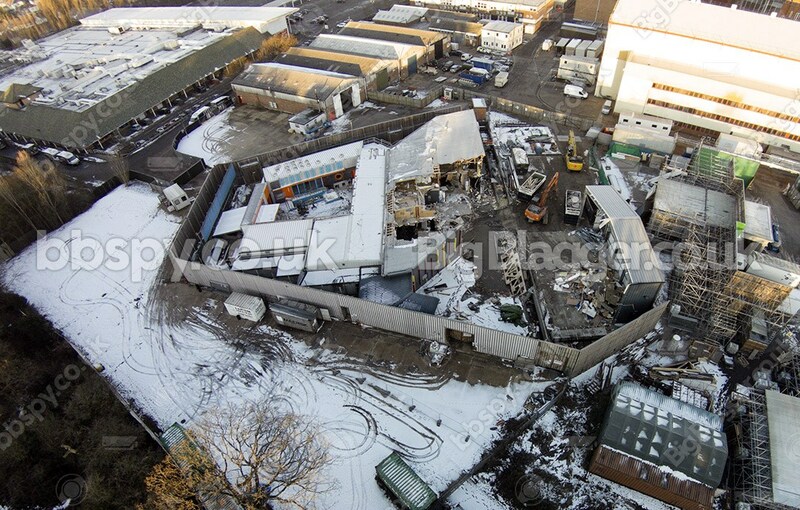 With no new (or renewed) contracts in place that could enable the house to stay at Elstree Studios, the tough decisions must have been made by someone, after a 17-year history, to bring the Elstree house down. With that rather largely irreversible decommission decision, the house was to be retired. De-rigged, slowly stripped of all cabling and equipment, all production cabins removed, and the physical demolition beginning soon after. The image shown below shows the house in it’s full and final glory back in January 2018. A frame taken from Celebrity Big Brother 2018. Series 21, Episode 18. What’s shown in the bbspy and Big Blagger images below is a demolition in progress. Here’s a big a forensic look at what’s going on. In the top-right was the interview “orbit” stage, now completely gone, replaced with tangled strips of sheet metal and a pile of steel support beams. Below and right of that, where the Live Set once was, are large skips for wood, rubble and roofing. In the middle-right is where the newer building used to be, known on the show as the Task Arena. If you look closely, you can actually see the splintered remnants of what was the main stairs walls. The dark blue background, with red and orange curved lines as the giveaway. The stairs leading to the “second Diary Room”, the entire upper level (a vast empty space), the flooring, all internal doors, stairs, ramps, carpets, walls and windows are gonee. And some of the foundation. Literally right down to the ground. Below and left of the Task Arena was the Task Garden, where the Tuesday “GameChanger” took place for the last series. A small pile of green artificial grass has been heaped up in the right corner of the garden, near what was a Housemate smoking area (ironically a fire exit). The whole newer extension was around 2-3ft higher than the original structure, and you can see some of those foundations in the bottom corner near the grass. Sections of the grey high wall paneling with the boxed lighting lies in the middle of the Task Garden. Almost in the middle of the image (under the “BigB” watermark) is the Small Task Room. I know this because you can see what looks to be a yellow coloured outline on the ground with a white arrow pointing at it. That isosceles trapezoid shape is black and yellow hazard tape that I personally marked the floor with for a Task, with directions for the Housemates as they stepped from the Diary Room and into the Small Task Room. Which means directly below the Small Task Room was the Diary Room, still partially roofed, but probably open to the elements if we’d seen from another angle. The Diary Room chair survived, presumably being transported back to Endemol offices in Shepherds Bush going by this photo on Twitter. Just above the Diary Room would have been the camera runs. There appears to be a yellow piece of paper on the floor, probably one of the many laminated window numbers that were on the walls near windows, so camera crews knew where they were in the dark. These yellow numbers were seen whenever a BOTS guest did a link from the camera runs, or when Cameron and Cian were chased through the runs on halloween for BB 2018. Directly above the Small Task Room in the photo would have been the Store Room. Wendy The Washing Machine is nowhere to be seen. In fact, the Store Room, the small annex (where Roxanne and Ben kissed), the black and yellow chevron painted Task Arena corridor that connected the two houses, the upstairs main house entrance, the upstairs Diary Room, and the famous stairs are all obliterated. It’s difficult to tell from the image what was still intact, but it’s not hard to imagine that the main living area and kitchen, the bedroom and the bathroom was either under way or would be gone next. The outside area looks remarkably untouched, with sliding doors and glass windows still in place. The pool space and outside shower is still there, as is the jacuzzi. But with that small digger parked in the middle of the garden, it looks like the inner non-load-bearing walls will be stripped out soon. It should be noted that some media reported a bunch of nonsense back in November 2018, that the house was torn down two weeks after the show finished, suggesting the site was “overrun by diggers and bulldozers”. That report showed photos of one single vehicle, which wasn’t a digger. Or a bulldozer. It was a construction lift. 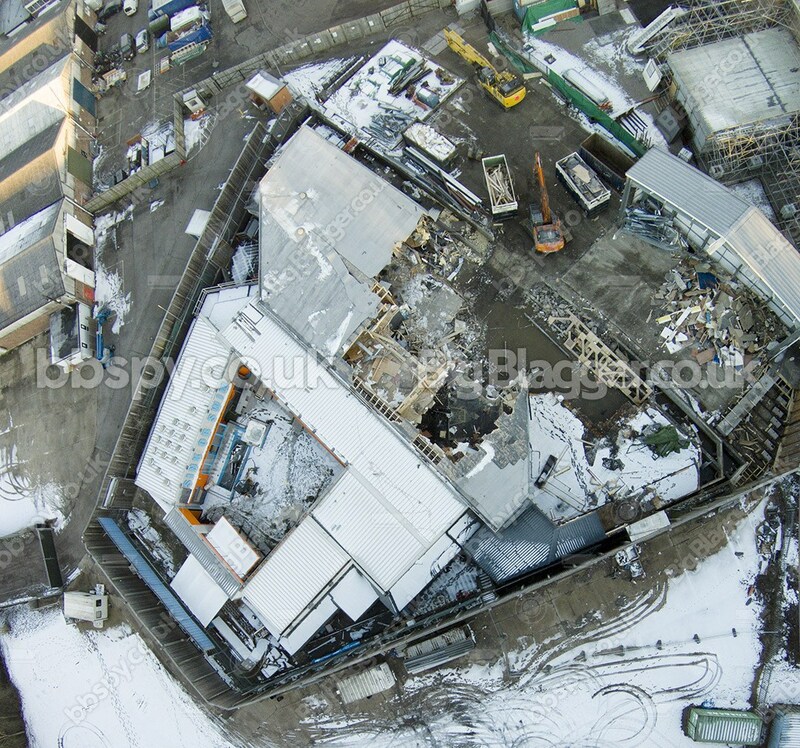 That same media also captioned “parts of the building were in a skeletal state, with just scaffolding left over”, whilst showing a photograph of a different area of the Elstree Studios backlot; a set constructed for The Crown production which was being shot on a different lot, north of the house. It’s worth dispelling the notion that Hertsmere Council had somehow “renewed the contract for another three years”. A comment I see a lot, which has caused confusion across social media. This is not true, and factually (and grammatically) incorrect for a number of reasons. Buildings being constructed must be dealt with properly by the local council through Legal Acts, Orders, and Regulations. Planning permissions can be granted or denied by the council, and are subject to conditions which are set out after careful considerations by the council, alongside consultations with Environmental Health, Licensing, Highways Agency, Water Agencies, Fire Safety Offices, National Grid, etc. Any Planning Permission granted for Big Brother had a review date attached, to allow the Local Planning Authority to review the particulars of any conditions at a later date. This can be seen on any application on the council website. For example, the Planning Permission granted back in 2001 to build the house stated Condition 1 as “for a limited period only, expiring on 31st January 2003, on or before which date the building(s) hereby permitted shall be removed and the land reinstated and left in a neat and tidy condition“. But, Planning Permissions already agreed can also be amended. By applying a “variation of conditions” on an already-granted application, the council could essentially renew that application under a new reference. An example as in the above case back in 2001, by re-applying the same application with a “variation on Condition 1… to allow the site to continue to be used as a temporary dwelling for television production until 31st January 2004“. So the original 2001 planning application had stated a conditional review date of 31st January 2003, which then was reviewed and modified to update the conditional review date to 31st January 2004. For 17 years, on and on those renewals went, and were nothing out of the ordinary. Just nobody really thought to look. 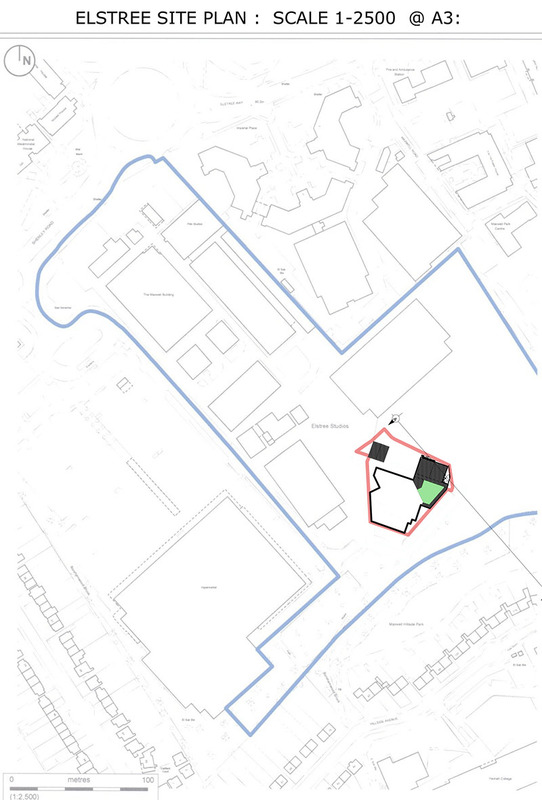 Additionally, the land has always belonged to Elstree Studios, the boundaries of which can be seen in the above Planning Permission application from 2018. 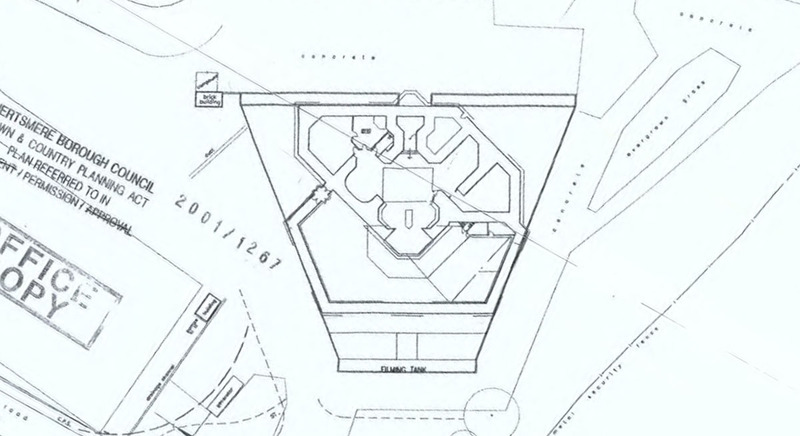 The plot of land on which the house stood never “belonged” to Endemol. With the last Big Brother Planning Permission being due for review on 30th September 2018, an extension was required, as the show was to be on-air till 5th November. 36 days over the review date. Council records show that on July 4th 2018 another application was submitted to again review the conditions and modify the next review date. This was granted, and the next review date was set to be 30th Sept 2021. To clarify. Hertsmere Council agreed Planning Permission for the retention of the Big Brother buildings until 30th September 2021. This was a regular review on the conditions already set out by the council and its consultants from 2001, and was necessary to keep the show on-air without breaking the agreed conditions. This updated Planning Permission date had absolutely nothing to do with any future contracts with any channel or platforms, nor did it mean the house would stay standing. But, back to the demolition pictures. If you’d watched the series (or were a Housemate! ), you’d have a good idea on the layout and geography of the last incarnation of the house design. But just in case, below is a composition showing the various rooms around the Big Brother house and their relative positions during the ongoing demolition (click for a larger version). Demolition of the house has clearly been methodical. And quite brutal. Seeing the House in this condition is nothing short of astonishingly heartbreaking. Every single phenomenal housemate that came and went; the incredible tasks that were designed, built and struck on a DAILY basis; the productionStory and Edit workforce that saw the first thread of the day develop at 9.30am, and have a polished 46 minute show constantly updated and turned around, ready to view 24hrs later (for comparison, a one hour Channel 4 documentary can spend 3 months in an edit suite. We turned around an episode in a day); the dedication and commitment shown by Emma, Rylan, Marcus, Brian, and every other presenter, host and guest who graced our galleries and studios; all the Runners who cut their teeth in quite an unforgiving and high pressure environment; the dozens upon dozens of camera operators who stood in silence in the dark of those camera runs for hours on end, capturing all the raw elements needed to make the show; the Engineers who would physically don wetsuits and climb under the foundations of the House to trace cable faults, constantly re-balancing cameras that had been knocked; the lighting dept who supplied an endless supply of smiles and anecdotes, forever up on the roof replacing bulbs; the sound dept, forever at breaking point when another mic pack ended up in the pool (or down the loo), and for shouting “up-the-hill to down-the-hill” when trying to get communication between the reality gallery and the spin-off show; the Loggers, who transcribed every utterance and highlighted every scenario, frantically typing a new line of text every time I pressed a button; the lawyers who poured over every frame of footage and analysed every sentence, and have some incredible training on do’s and don’ts; the Seniors and Execs who’s decisions and leadership shaped every episode 24/7 (on and off-air); every member of Security who reacted to every incident in and out of the House on a daily basis, and a team of individuals who I know for a fact would risk their own lives to make sure other people kept safe. Long live Big Brother. I truly do hope some day it gets back to us. A handful of the BB2018 finale night crew, as seen through the lens of the camera jib. All information on this blog is already in the public domain, and links to supporting documentation is included where possible. Information may be incorrect and should not be taken as factual. This blog post is copyright ©. No part of this blog post shall be quoted or republished unless permission has been granted. All rights reserved. A list of granted permissions is below the article. Any and all other use of this blog post is strictly prohibited. Links to this original blog are granted.